용문사에서 약 300m 떨어진 동쪽에 자리하고 있으며, 정지국사(1324∼1395)의 행적 등을 기록한 것이다. 정지국사는 고려 후기의 승려로 황해도 재령 출신이며 중국 연경에서 수학하였다. 조선 태조 4년에 입적하였는데 찬연한 사리가 많이 나와 태조가 이를 듣고 ‘정지국사’라는 시호를 내렸다. 탑과 비는 80m정도의 거리를 두고 위치하고 있다. 탑은 조안(祖眼) 등이 세운 것이며 바닥돌과 아래받침돌이 4각이고 윗받침돌과 탑몸이 8각으로 되어 있어 전체적인 모습이 8각을 이루고 있다. 아래받침돌과 윗받침돌에는 연꽃을 새기고, 북 모양의 가운데받침돌에는 장식없이 부드러운 곡선만 보인다. 탑몸에는 한쪽 면에만 형식적인 문짝 모양이 조각되었다. 지붕돌은 아래에 3단 받침이 있고, 처마 밑에는 모서리마다 서까래를 새겼다. 지붕돌 윗면에는 크게 두드러진 8각의 지붕선이 있고, 끝부분에는 꽃장식이 있는데 종래의 형태와는 달리 퇴화된 것이다. 꼭대기에는 연꽃 모양의 장식이 놓여 있다. 비는 작은 규모의 석비로 윗부분은 모서리를 양쪽 모두 접듯이 깎은 상태이고, 문자가 새겨진 주위에는 가는 선이 그어져 있다. 비문은 당시의 유명한 학자인 권근(權近)이 지었다. 처음에는 정지국사탑에서 20m 아래 자연석 바위에 세워 놓았는데, 빠져 나와 경내에 뒹굴고 있던 것을 1970년경 지금의 위치에 세웠다. 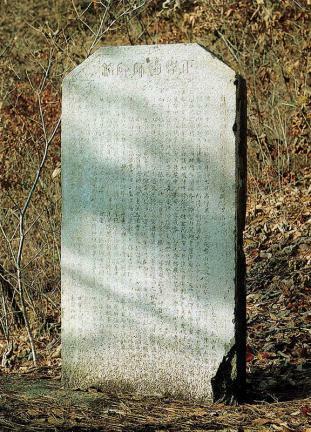 These stupa and stele, which have the records of State Preceptor Jeongji (1324-1395), are located 300m east of Youngmunsa Temple. 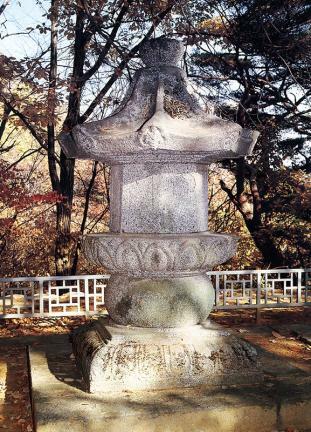 State Preceptor Jeongji, a Buddhist monk of the late Goryeo period, was born in Jaeryeong, Hwanghae Province and educated in Yanjing, China. 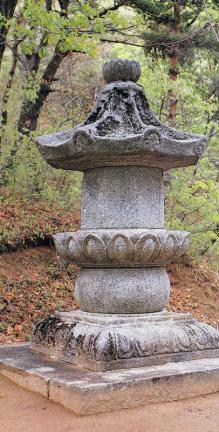 He entered Nirvana during the 4th year of the reign of King Taejo. 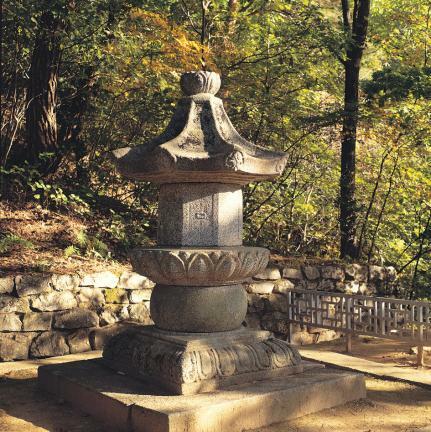 With a shining sarira found in great quantities after his death, King Taejo named him State Preceptor Jeongji. The stupa and stele stand about 80m apart. The stupa, which was erected by Joan and others, looks octagonal with its square stylobate and lower pedestal as well as its octagonal upper pedestal and main body. Its upper and lower pedestals are carved with lotus; its drum-shaped, middle pedestal only has a graceful curve without any decoration. Meanwhile, the main body is engraved with a perfunctory door on one of its sides. The roof stone has three-tier cornices, and the eaves have a rafter engraved on each of its corners. 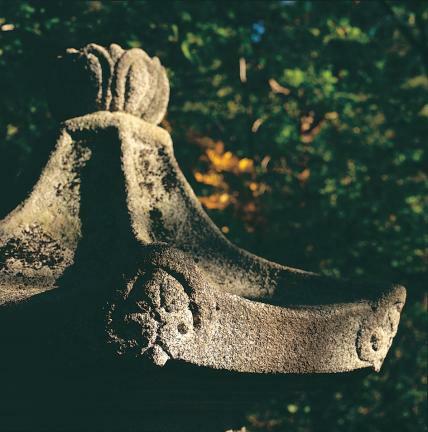 The roof stone has large, clearly visible octagonal rooflines; at its end is a flower decoration that is not as sophisticated as the former shape. Meanwhile, the stupa has a lotus-shaped decoration at its top. The small stone stele has sides carved to look as if they were folded. It also has thin lines engraved around characters. 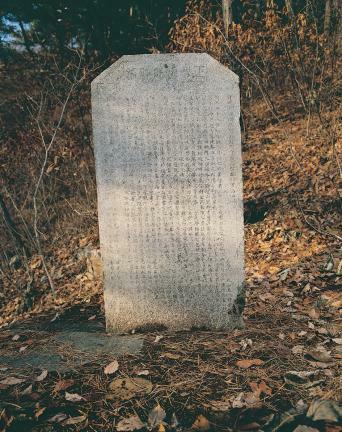 Its epitaph was written by Gwon Geun, a famous scholar of that era. 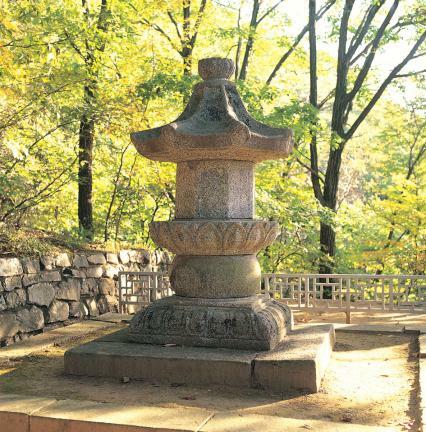 At first, it was erected on a natural rock located 20m under the Stupa of State Preceptor Jeongji, but it fell from the rock and got neglected. Therefore, it was erected again in today’s place around 1970.